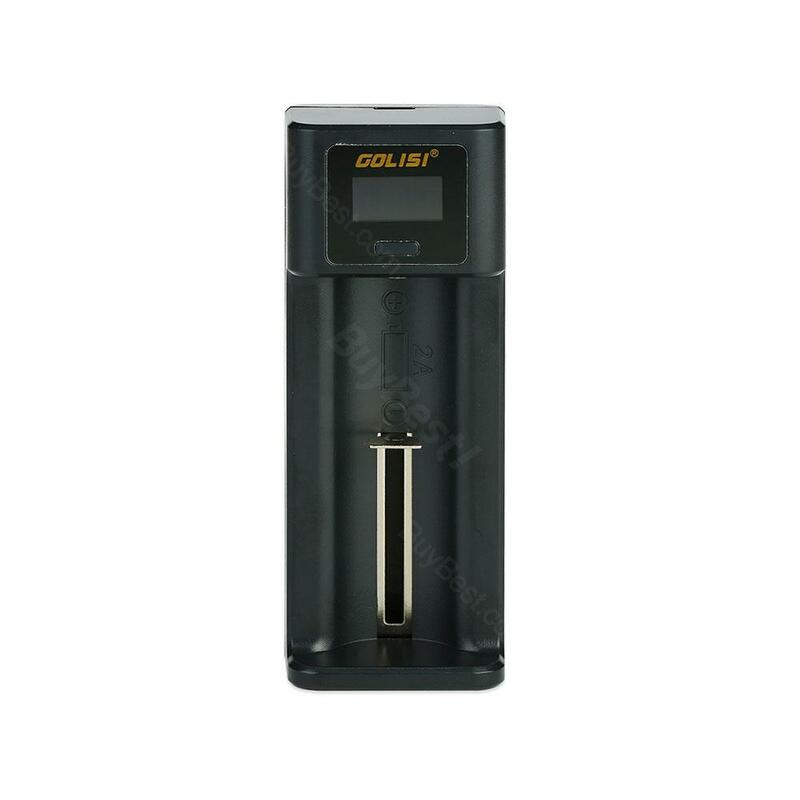 The Golisi I1/I2 is a compact mini smart charge. It has a USB power port with optional 0.5A, 1A and 2A output. And it's compatible with batteries length ranging 32 - 70mm. And the LCD displays charging info in detail. 2 colors. The Golisi I1 is a compact mini smart charge. It has a USB power port with optional 0.5A, 1A and 2A output. And it's compatible with batteries length ranging 32 - 70mm. And the LCD displays charging info in detail. 2 colors. • Only suitable for rechargeable lithium-ion/Ni-MH/NI-CD batteries. • Compatible with battery length ranging from 32mm to 70mm. I am using this charger to replace a Nightcore that I really liked. This one can charge NIMH which the other one could not. I use AAA NIMH and 10440 batteries for some of my lights. This charger handles both. I like that the front contact pad is large enough to capture the front battery post and allow for reliable charging. I am happy with the purchase. I leave this one on my desk at work.